By Staff Writer on December 14, 2009 . Leave it to Anthony Fauci to cut right to the chase when it comes to delineating the right path forward at this critical juncture in HIV treatment and prevention. His answer was unequivocal: “It is not insurmountable,” Fauci said at the event, hosted by the Center for Strategic and International Studies. 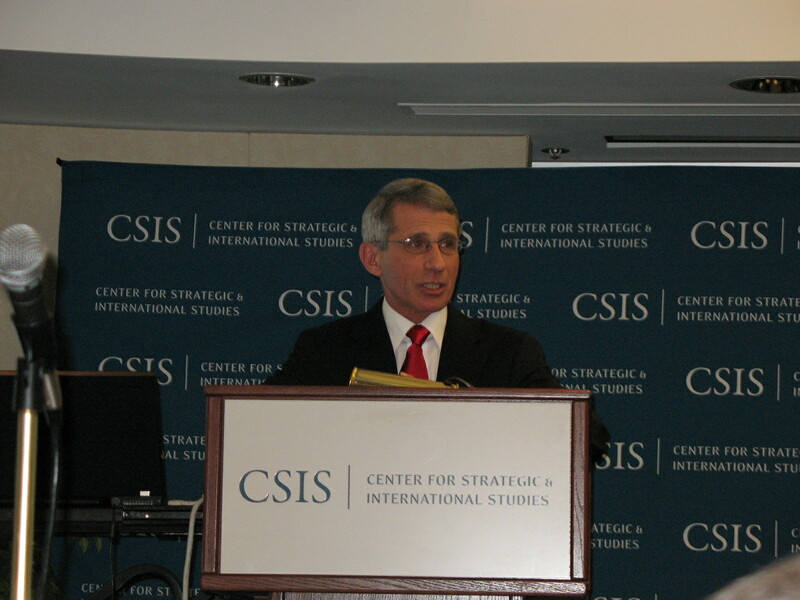 Fauci took the audience on a historical journey, through the “dark ages” of the HIV epidemic, when “everyone I treated died” because physicians and scientists did not know what they were dealing with, to today, when the average life expectancy of a 20-year-old HIV-positive patient in the U.S. is 69 years. In a warning against complacency, Fauci said, “We have much, much more to do than what we’ve accomplished.” With 7,400 new infections every day, including 1,200 among children and about half among women, the HIV virus is attacking “the fruit of the youth of the world,” he said. The way forward, he said, is an aggressive search for new biomedical prevention tools and strategies, including microbicides, PrEP, and a vaccine. He touched on today’s “discouraging news” that researchers did not find any evidence that PRO 2000, a microbicide, was effective in reducing the risk of HIV infection among women. Noting that PRO 2000 did not include an ARV, Fauci reiterated his commitment to microbicide research and said he “feels confident” that other candidates will yield more promising results. One audience member asked Fauci whether, in light of the WHO’s new treatment guidelines calling for earlier initiation of ARVs, countries should move to treat the sickest people, with CD4 counts under 200, or the “not-so-sick” who are newly eligible for HIV therapy. “I can’t give you a Sophie’s choice answer,” Fauci said. “You obviously can’t stop therapy with someone you’ve started,” but each country will have to make their own decisions about how to proceed in light of the new guidelines. What is really needed, he added, is a more robust response to the AIDS pandemic from countries besides those in the G-8. During a panel discussion after Fauci’s remarks, other experts also weighed on in the current dilemma, in which more people are eligible for and in need of ARV treatment, but funding remains level and the US appears to be shifting its attention to other diseases and health threats. 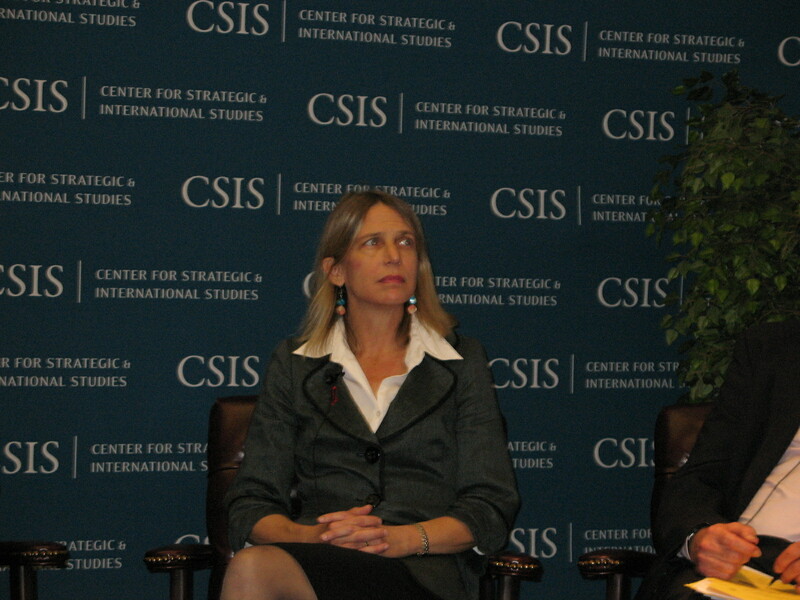 Dr. Diane Havlir, professor of medicine at the University of California, San Francisco, and a member of the Center for Global Health Policy’s Scientific Advisory Committee, said scientists and other advocates need to better communicate the significant side benefits of PEPFAR on other disease interventions, such as tuberculosis. Dr. Havlir also noted that the field of HIV is very dynamic, and new tools could dramatically change the treatment and prevention paradigm. “I’m not saying we won’t have to make hard choices, but let’s be smart about the data we have before us as we got into this,” she said. She said the decision of the International AIDS Society to hold its 2012 conference in Washington presents “a tremendous opportunity” to showcase the benefits of AIDS programs as well as the importance of the US contribution to fighting the epidemic. Elly Katabira, president-elect of IAS, said HIV treatment success stories need to be told more clearly because they make for a compelling case for additional investments. Treatment shortages may grab headlines, he said, but a more gripping story might, for example, showcase the number of teachers who have been able to access treatment and the societal contributions they’ve been able to make as a result. The most pointed message at the CSIS forum was delivered at the end by Julio Montaner, current IAS president. “It’s almost like we are punishing success,” he said of the flagging international commitment to HIV/AIDS despite great success and growing need. HIV experts deserve some of the blame, he said, for failing to adequately connect the dots, at least in the public arena, between HIV programs and resulting societal gains, from decreased mortality to fewer AIDS orphans. Whatever the reason, he said, the situation needs to be placed squarely on the agenda of the international community, including his native Canada. This entry was posted in Uncategorized on December 14, 2009 .